Tri-Phase is a licensed Well Contractor and all our drillers are licensed Well Technicians. Our experience, equipment and resources allow us to deliver the specific requirements of any geo-technical and geo-environmental project. 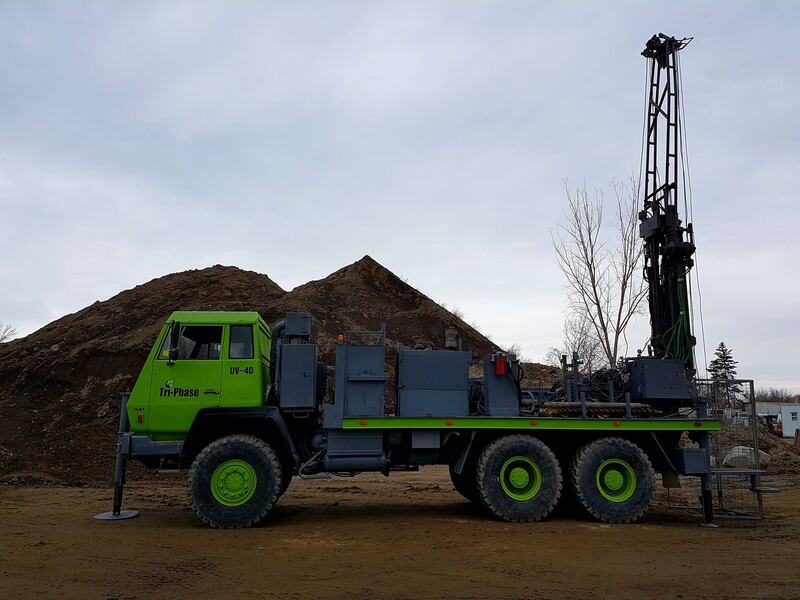 Tri-Phase’s Drilling Division is equipped with track and truck mounted drill rigs that are ready to handle any of your geo-technical and geo-environmental projects! These rigs run both solid stem and hollow stem augers, possess automatic drop hammers as well as concrete and asphalt coring systems. 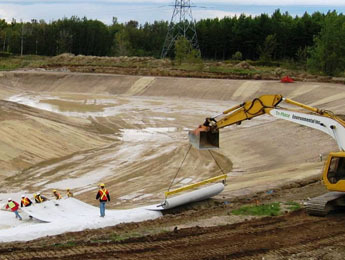 Our capabilities include but are not limited to well installation, well decommissioning, in-situ remediation, soil and groundwater sampling, coring of concrete, rock and asphalt, as well as registration and well records for the Ministry of Environment and Climate Change. All our drill rigs are equipped with auger guards and other safety equipment in compliance with current regulations. We are a licensed Well Contractor and all our drillers are licensed Well Technicians. Our technicians have successfully completed Petroleum Oriented Safety Training (POST), WHMIS, as well as Standard First Aid and CPR training at a minimum. Our technicians have over 20 years of experience working in the industry and can tailor their approach and drilling methods to meet your specific project needs. All drilling equipment is owned by Tri-Phase to provide geo-technical and geo-environmental services. Tri-Phase owns drill rigs that vary in size and capabilities that allow us to meet the demands of any project. 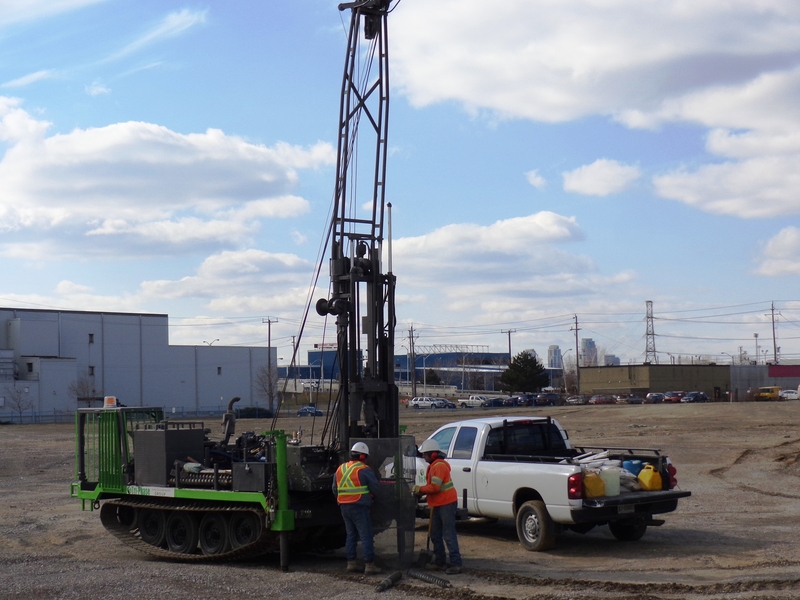 Tri-Phase has drilled thousands of boreholes and installed countless monitoring wells ranging in depth from 5 feet to over 350 feet across varying ground conditions and locations. 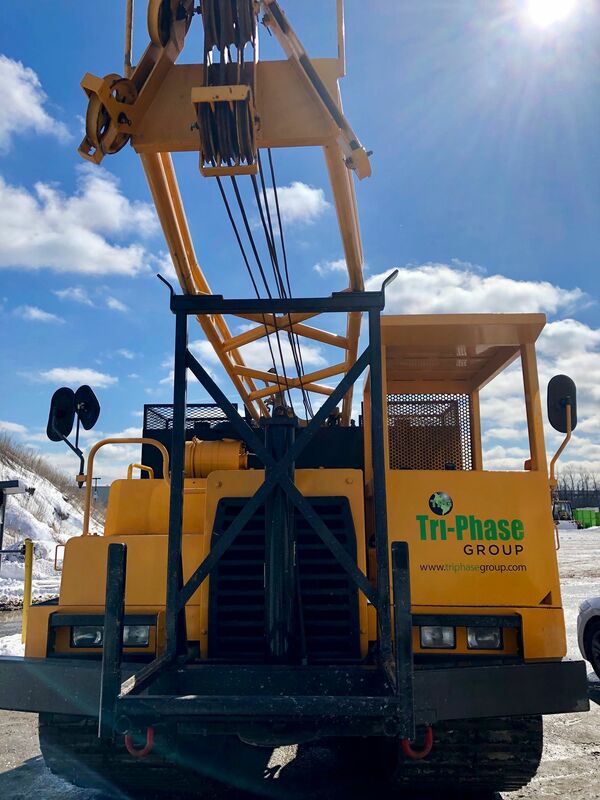 Whether the area you have to assess is outdoors in a paved parking lot, rough terrain, landscaped area, or indoors in a basement with limited access and clearance, Tri-Phase has the equipment required to complete any project efficiently! Tri-Phase employs several remedial methods and chemical injection for contaminated soil and groundwater is one such method whereby a powerful reagent is introduced directly into the ground to break down the harmful contaminants. The primary delivery mechanism for this type of remedial method is through perforated, hollow metal rods hammered into the ground by direct push drilling methods or by injection of the reagent into wells installed using hollow stem auger drilling. This method can be particularly useful when excavation of contamination is not an option. Chemical injection is typically less costly than traditional remedial methods such as excavation and disposal; however, it requires more time as well as an experienced contractor. Tri-Phase has both the theoretical and practical knowledge to tackle your contamination problem in a safe and effective manner.